Multi-Layer Video Streaming is proved the fact that video streaming has been gaining increased popularity. As there is a huge increase in demand for video streaming, there is an automatic increase on the servers that serve the videos. Some of the techniques used to address this issue of overloading servers include video on demand (VoD). Multi-Layer Video Streaming technique, the micro servers with limited storage & bandwidth resources share the work from the central server. Another technique that can tackle the issue is multi-layer video. Here, a video is divided into different layers thereby improving scalability without burdening the video server. There are increasing numbers of multimedia streaming applications available over the internet. Two important and effective networks in this direction include Content Delivery Networks (CDN) and Peer-to-peer (P2P) Networks. 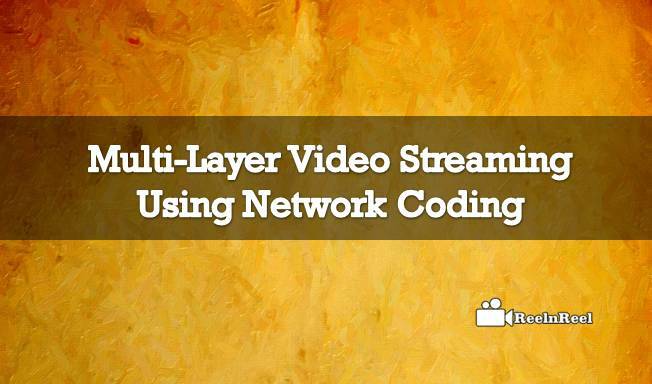 Hierarchical Network Coding (HNC) technique is used with scalable video bitstream that helps in fighting bandwidth fluctuation. Yet another development in this direction is multi-sender streaming in which multiple servers are storing an identical copy of the video. After partitioning the video into multiple disjoint parts, depending on the requirement of the viewer, each part of the video is streamed from multiple servers. As there are multiple servers sending videos to a single user, there is the huge reduction in the unpredictability of congestion on the internet. However, keeping multiple copies of the video consumes huge server space. To address the twin issues of time delay as well as redundancy, another technique ‘Hierarchical Networking Coding’ (HNC) introduced. Here the bits of the video are marked based on priority and the video is thrown to the receiver (viewer) based on priority. HNC comes with the inbuilt advantage of the scalability of video bitstream. Under this technique, HNC packets are coded depending on the priority level thereby ensuring the lesser number of received coded packets.